Pumpkin – Dig Delve – An online magazine about gardens, landscape, growing & making. We always grow too many pumpkins. Such has been the luxury of having the space to do so. They have found themselves in a different position every year to give them the opportunity to reach. In the first summer they were in the virgin ground where we had turned field over to garden and the flush of weeds that had been disturbed by the change were kept in check by their coverage. The next year they were out in front of the house, each plant perched on a barrowload of muck on the banks. But it was too exposed there, we had a wet summer and learned their limits, for they made not much more than leaf. The disappointment of not having them in storage lasted the whole winter. Consequently, as the best way to learn is by your mistakes, I have taken their needs more seriously. Six summers’ worth of trial, error and experimentation have taught us the good producers, the best keepers and those that under-produce in relation to their enormous appetite for space. A Californian friend and gardener, who grows the giant pumpkins you only find in the country where everything is bigger, was amazed that I was giving my plants so little room to grow. His pumpkin patch is the size of my whole garden, so he was not surprised that I hadn’t done better in terms of size and yield. 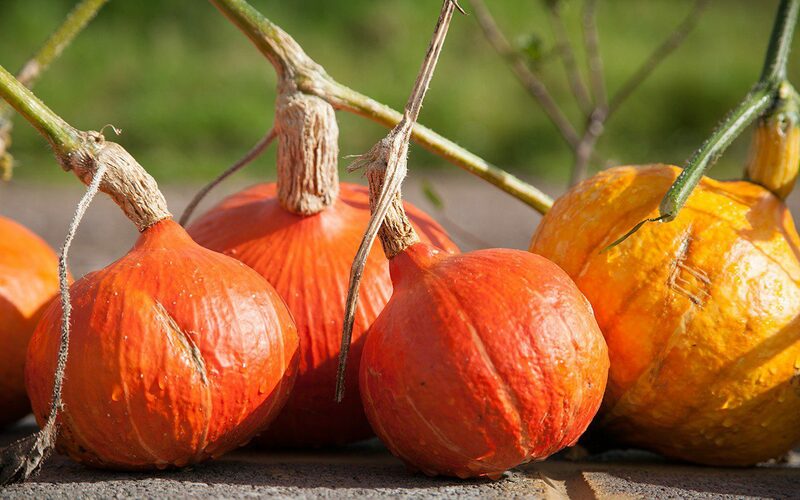 A big plant with a rangy nature can easily take over a plot of nine or more square metres to provide the optimum ratio of leaf to fruit and, now that I have started planting up the garden, space for pumpkins is becoming more limited. So next year’s selection is due an edit. The giants will be separated from those that are happy with less space and the neater, more economical growers will have a bed to themselves in the kitchen garden with plenty of muck and sunshine. The big growers will be given the top of this year’s compost heap so that they can enjoy a romp and tumble over the edges unencumbered. Of the big growers that produce more leaf than fruit, we will not be growing ‘Musquée de Provence’ again, after three years of trying. The deep-green, lobed fruit, though handsome, are supposed to ripen to a rich tan colour, but even on our south-facing slopes we just don’t have enough sun to do so. Consequently, the skin doesn’t cure fully and they have been poor keepers. Our average of one fruit per plant is also not worth the investment of space. Although a single pumpkin can easily feed twelve, there are only so many times you require a pumpkin that large. We have had a similar experience this year with ‘Rouge Vif d’Étampes’, another French variety with large fruits of a strong red-orange. It also appears to need more heat to crop heavily and ripen fully. These two have been the first to be eaten, as we try and keep pace with the rot. 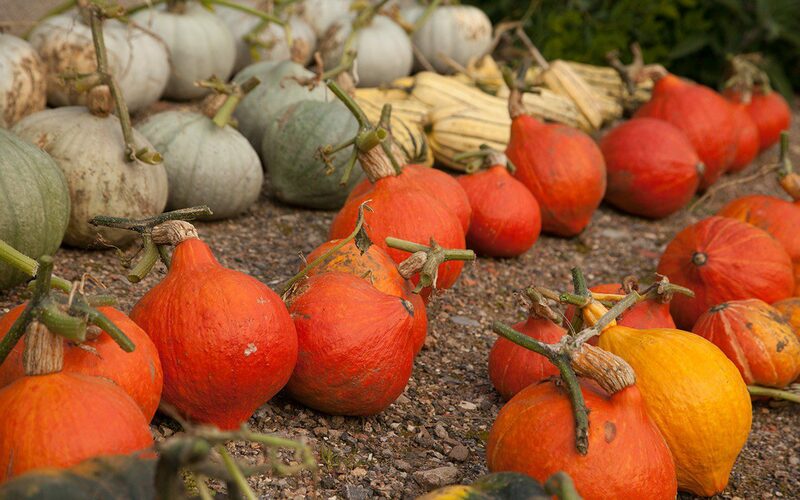 All pumpkins and squash like heat and good living and our cool, damp climate sorts out those that are clearly missing the Americas. In contrast, ‘Crown Prince’ has been more adaptable here and one of the best croppers for a plant that needs space. It is also an excellent keeper. The saffron flesh is firm and sweet while the thick, grey-green skin means that they can keep into March in a cool, frost-free shed. The varieties with dry, firm flesh are better for storing than the wetter ones, which I presume is due to their higher sugar content. We also prefer them for eating. 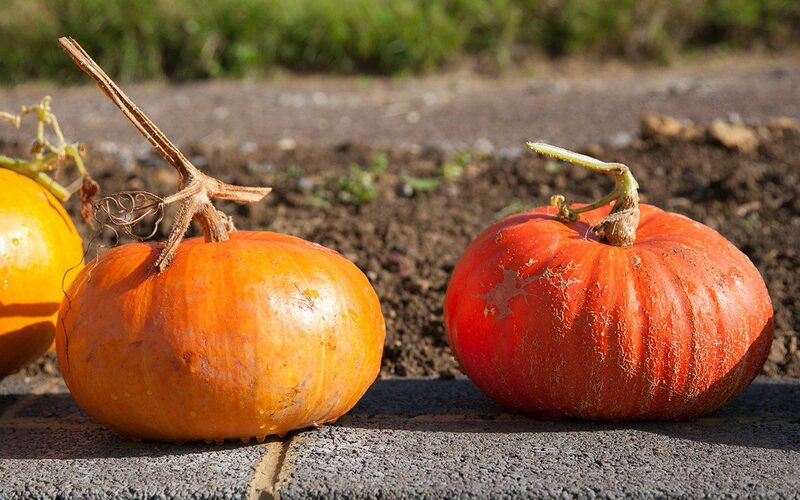 Of the smaller growing varieties we have found the Japanese pumpkins to be the most consistent, with the highest yield for their economical growth and the most delicious flesh. They produce fruit of a moderate size, which is far more convenient to eat than opening up a Cinderella-sized pumpkin that feeds a horde and then sits on the side, the remainder unused, making you feel guilty. Of the Japanese varieties ‘Uchiki Kuri’, or the red onion squash, is the one you see most often in Japan and the one I will eat on an autumn visit to Hokkaido where it is grown extensively. 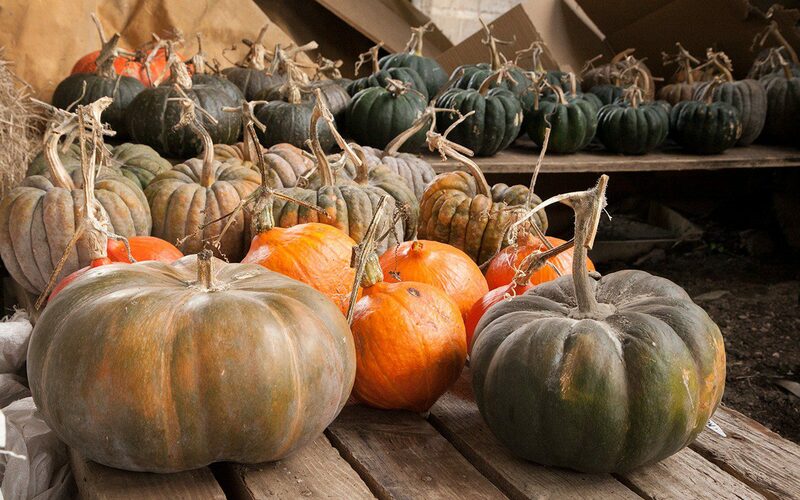 It is a moderate grower, with smallish foliage and an even and reliable yield, with each plant producing 8 or more 1-2kg pumpkins. The deep orange teardrop-shaped fruit are small enough to provide for one family meal and, with a good balance of flesh to seed, there is little waste. Kuri means chestnut in Japanese, and the flavour and texture of this and the other kuri varieties explains why. They are excellent baked, with a rich, floury texture that also makes superlative mash and soup with plenty of body. 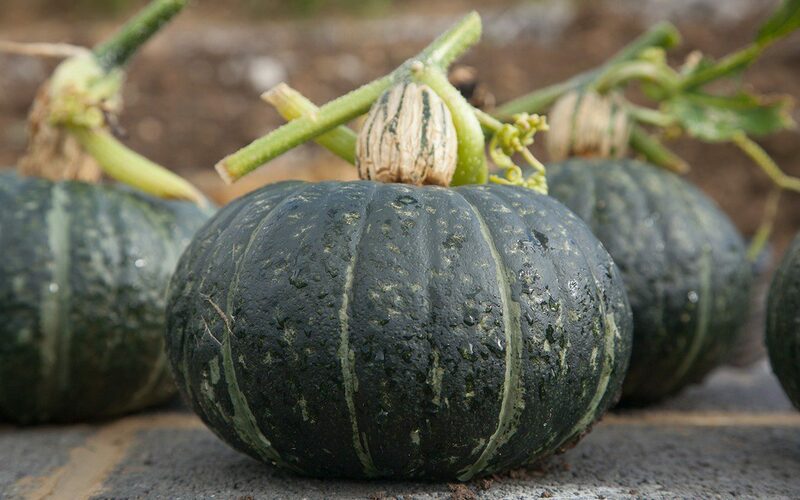 Kabocha is the Japanese word for pumpkin, derived from the corruption of the Portugese name for them, Cambodia abóbora, since they were brought to Japan from Cambodia by the Portugese in the 16th century. 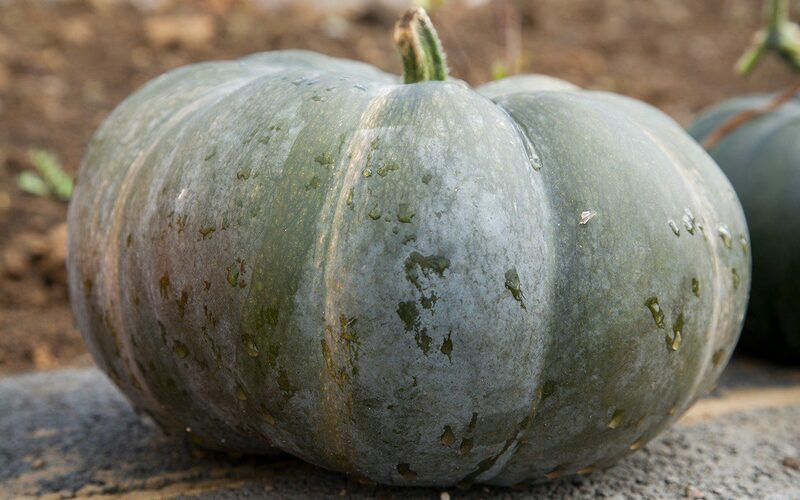 This year we grew ‘Cha-cha’, which closely resembles ‘Blue Kuri’, a Japanese kabocha variety we have previously had success with. It has also proven to be very good. Slightly larger than ‘Uchiki Kuri’ the flesh is also dry, rich and sweet, and the thin skin is edible when roasted. ‘Black Futsu’, another Japanese variety with sweet, nutty flesh, is of a similar size. 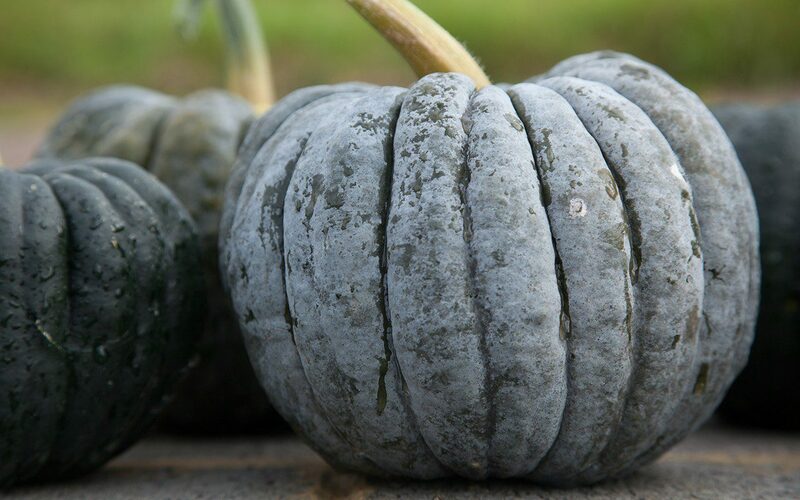 The fruits are heavily ribbed and dark, black-green when picked, quickly developing a heavy grey bloom, beneath which they ripen to a tawny orange. Though beautiful to look at, the ribbing does mean they are more work to cut and peel, but it is a small hardship in terms of yield and substance. Another heavy cropper, although not such a good keeper, is ‘Delicata’, also known as the sweet potato squash due to it’s mild, sweet flesh which is moister than the varieties described above. 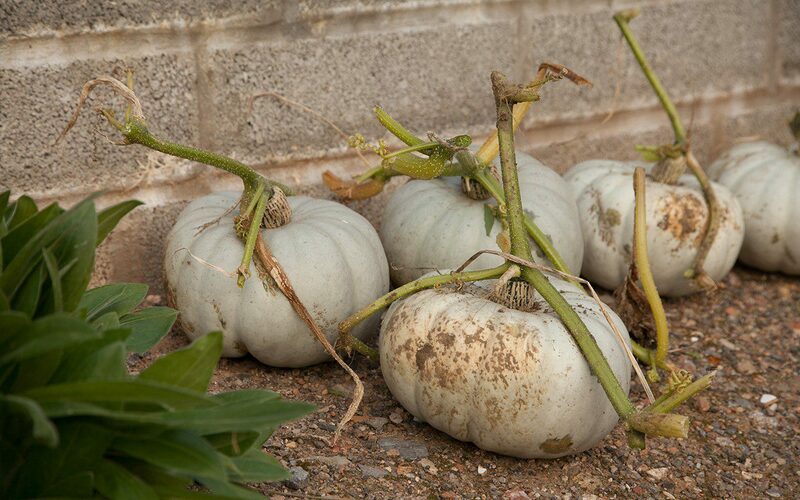 Although kept and eaten as a winter squash ‘Delicata’ is of the summer squash species with a very thin skin (hence its name) and so has a propensity to soften quickly in storage. However, it needs no peeling as the skin is edible, so it has its uses in the earlier part of the season. 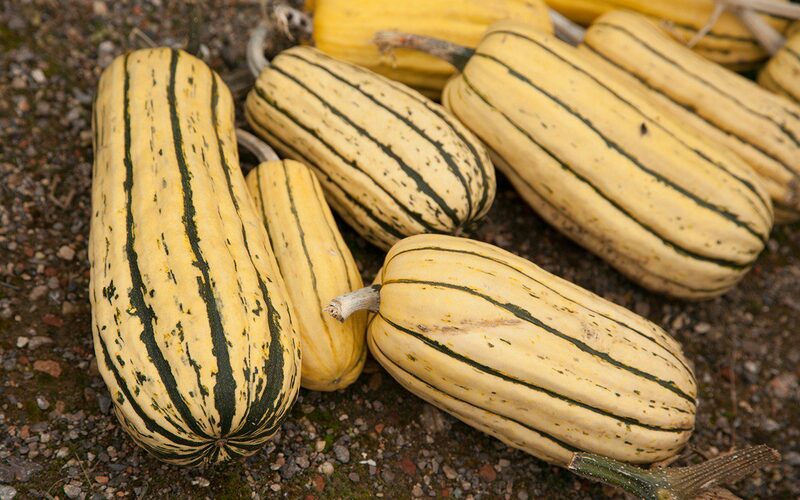 The beauty of this very decorative variety is its high yield of long, cylindrical fruits (perfect for stuffing) in a range of manageable sizes, some the perfect size for one, which makes it a very practical choice. Although in the past I have let the first frost strip the summer foliage before harvesting, it is best to remove it by hand in September when the plants have done their growing and there is a little heat left in the sun to do a final ripening. It is best to pick the fruits before they get frosted or they don’t keep well, and care must be taken not to damage the hard, waxy skin which keeps them airtight through the winter. The stalks should be left intact for the same reason, as any wound quickly leads to rot. Left in a warm, sunny place for a couple of weeks after picking the carbohydrates in the flesh turn to sugar and the skin hardens. The colour also changes, but this continues to develop in storage. 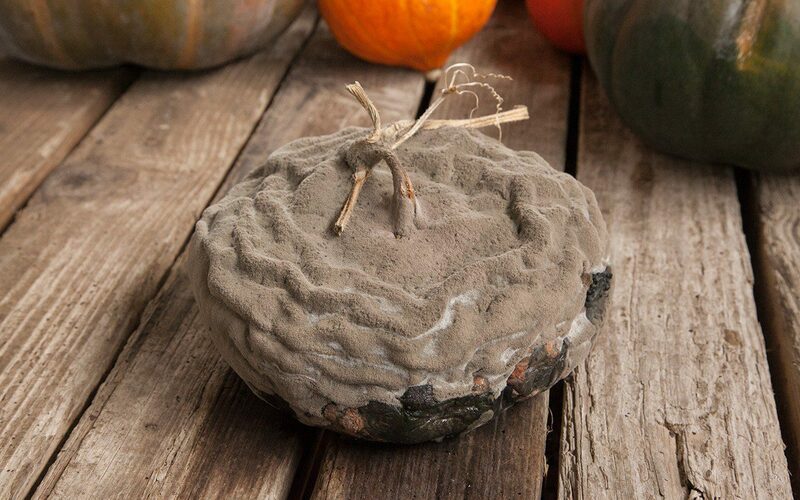 When ripe they should be stored in a shed or outhouse on wire racks or a bed of straw to allow air to circulate beneath them. For now, I have them on old palettes in an airy barn, but when it gets colder they will be put into perforated plastic plant trays and moved to the frost-free tool shed. We are gradually making our way through this year’s crop with roast, mash, soup and finally preserves, before the rot sets in. It nearly always does and, although the decay has its own beauty, I’d rather not waste a summer of effort. Both ours and the pumpkins’.